The Melia Hotel, Benidorm is located in the Rinc�n de Loix of Benidorm, set in spacious gardens, only 500 yards from the famous Levante Beach. Guests can choose from numerous swimming pools as well as a host of restaurants and bars, including Italian cuisine and show cooking. 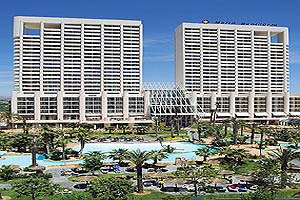 The Melia Benidorm is the ideal location to enjoy your holiday in Benidorm.